Don’t miss the September Stated Meeting! 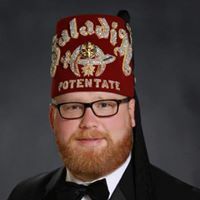 We’ll be reviewing the year, talking about the Potentate’s Ball, and Jonathan Duley, Chief Rabban, will be presenting the Saladin Shrine Strategic Plan that will guide decision making for years to come. Many hours have been invested in the Strategic Plan, so please try to make it out to see the work your Divan has been doing. See you there!